At the core of our business is a deeply experienced team of consultants with hands on, leading edge industry knowledge and unique skills to solve any business challenge. We never stop innovating, learning and testing to stay on top of our game. We care about your success and will do what it takes to deliver outstanding results and ensure your complete and unequivocal satisfaction. Navroze Eduljee is the founder of DecisivEdge and serves as CEO. His primary focus is to enhance product and service offerings, develop Customer relationships and strategic partnerships, direct business development efforts and to define the company’s growth strategy. Prior to founding DecisivEdge, Navroze spent 15 years with MBNA and Bank of America as an EVP in key business technology roles. He most recently served as the Director of Business Performance Management, with responsibility for implementing value added marketing technology and business intelligence solutions across the $180B consumer credit card and small business portfolio. 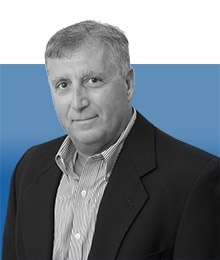 Mike brings 20 years of both technology and management experience at Fortune 100 companies. He is a proven innovator with the experience and ability to rapidly comprehend a customer’s business vision, plans and strategic decision-making processes, allowing him to create and deliver critical data and analytic solutions that bring immediate improved results in both sales and efficiency. Mike received his BA in Mathematics from Saint Joseph’s College of Maine. Andrew has over two decades of senior management experience in the credit card industry with Fortune 500 financial institutions such as MBNA Corporation and Bank of America. His broad financial services experience recently led him to the role of SVP and Head of Card Operations for Continental Bank of Canada, where he had responsibility for all Fulfillment, Fraud, Chargeback, Back Office, and Call Centre functions at the bank. 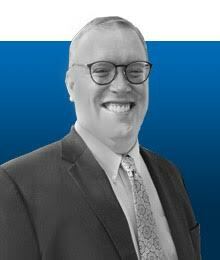 Andrew has also led multi-site management of contact centres across the United States and Canada, and has held executive positions at Minacs Worldwide as Vice President of Banking and Financial Services and with CIBC as Senior Director of National Credit Card Contact Centres. 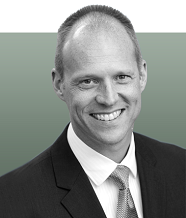 Andrew has regularly received accolades for his abilities in the financial industry; winning the Bank of America Award of Excellence in 2007, the Minacs Partnership of the Year Award in 2013, and most recently the CIBC Award of Excellence in 2014. Jim is responsible for managing the Company’s rapidly growing quality assurance practice which comprises of both on-shore and off-shore resources who provide manual and automated testing services. In this role, Jim will continue to develop the Company’s partnership with Tricentis and their leading model-based integrated test automation solution Tosca Testsuite. Prior to joining the DecisivEdge team, Jim brings 26+ years of broad technology experience having held management positions in application development and quality assurance management experience with companies like Chase, FDR, MBNA America and Bank of America. He worked as a consultant with the New York Federal Reserve Bank providing strategic direction for testing and leading quality assurance efforts on the project to migrate the legacy mainframe based funds and securities transfer systems to a new distributed platform. Jim is a graduate of the University of Delaware where he holds a Master of Science degree in Accounting and a Bachelor of Science degree in Business Administration-Finance. Samantha brings more than 25 years of experience in executive leadership roles in financial services and loyalty marketing. She possesses the ability to influence across organizations and directly lead successful teams to exceed stated business goals. In her role, Sam is accountable for creating the best environment for the people of the company globally. She will design, manage and implement innovative processes for talent development, as well as ensure an enterprise culture supported by initiatives that attract, develop, engage and retain a high performing team of talented professionals. DecisivEdge is focused on being the Employer of Choice for a broad spectrum of technology professionals, who can expect to be rewarded with a clearly articulated career growth plan based on performance. 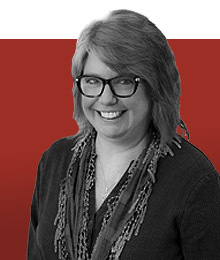 Prior to joining the team at DecisivEdge, Sam held a variety of roles during her 25 years at MBNA/Bank of America and Connexions Loyalty, including marketing acquisition, client management, loyalty marketing and credit card network management. Sam holds a Bachelor of Science Degree in Foreign Service from Georgetown University. As the Information Security Officer for DecisivEdge, Ken is responsible for the creation and governance of the company’s information security processes. Leveraging his considerable experience in desktop operations, network infrastructure, database operations and architecture and web development, Ken is focused on implementing a robust information security process ensuring the company’s compliance with industry best practices. Ken also leads the company’s annual SSAE-16 certification process. Ken is also responsible for implementing the appropriate controls at DecisivEdge, India, the company’s offshore technology delivery subsidiary as well as ensuring that the company’s partners and vendors are in compliance. 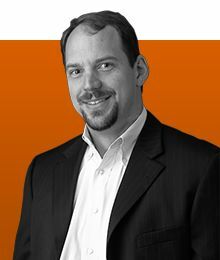 Ken joined DecisivEdge in 2008 from MBNA/Bank of America where he held various positions managing and operating large complex networks, high availability critical server and database infrastructure, and development of enterprise analytic databases and reporting processes. He holds a CISA certification and received his BA in Biochemistry and Neuroscience from Bowdoin College. Keith brings 20 years of experience in Data Science and Statistical modeling. He understands the power of data science and big data and how it can be used to enhance the bottom line. 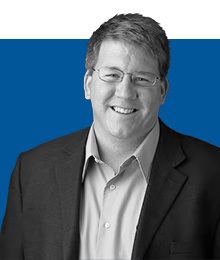 Keith has spent his career building solutions that enable business leaders make better decisions. He can breakdown complex statistical terminology and provide business leaders with a clear vision on how statistical modeling and data science should be used. 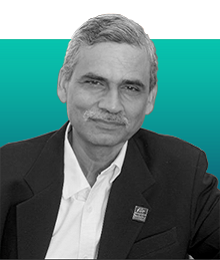 Sandip is Managing Director of DecisivEdge Technology Services India Pvt. Ltd., a wholly owned subsidiary of DecisivEdge, LLC. His focus is to streamline solution and service delivery, direct business development efforts in India, develop new capabilities and drive the growth of the subsidiary. Sandip has 30+ years of experience in IT, spending the past 18 years with Perot Systems and Dell in Application Development and Management. 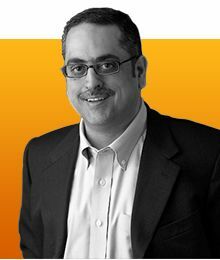 Sandip has led large global practices to successfully deliver complex programs to Fortune 500 customers. His passion for innovation and automation led to creation of productized offerings, enabling business growth and faster delivery. 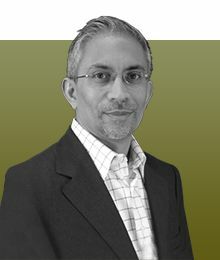 Sandip is a technology leader and has extensively worked across Financial Services and Healthcare industry domains. Sandip has a Master of Science Degree in Mathematics and a Post Graduate Diploma in Computer Applications from the Indian Institute of Technology, Roorkee and has completed an Executive Program in Management from the University of California Berkeley’s Haas School of Business.